the past twelve months and were lucky enough to get a chance with the Armasight Vega. In this Armasight Vega Gen 1+ night vision goggles review, we are going to tell you what we liked about this great night vision device. The Armasight Vega Night Vision Goggles (Click here to check price on Amazon) are where affordability and efficiency meet. This cost effective night vision device was designed to help you excel while engaging in night activities such as night fishing, the paintball arena, night hunting, or any other nighttime tactical or outdoor activity, while enjoying a high-resolution image. 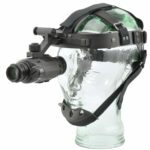 This Armasight night vision device includes a secure head mount that allows the Armasight Vega to be positioned naturally over either eye, and the goggles can flip up when not in use. These night vision goggles create a high-resolution night vision image even in the darkest conditions. The Armasight Vega aided by the is highly preferred because of its included head mount. This hands-free operation makes it easier to focus on your task, rather than focussing on your goggles. 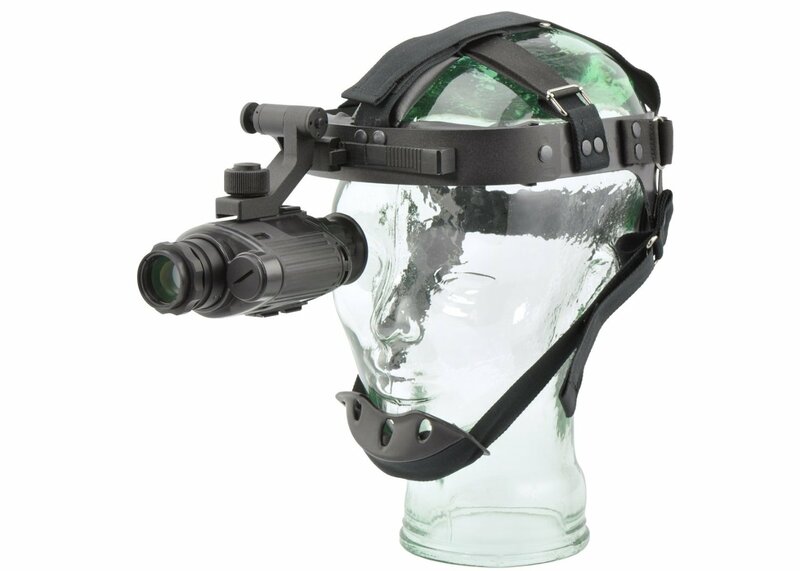 This head mounted night vision device also features a built-in short range infrared illuminator. The Armasight was built with a sturdy, water resistant and fog resistant body that is held securely in place, with the aid of it’s professional-grade helmet mount that is included when you purchase this night vision device. This is a generation 1 night vision device, but you can count on high-resolution images. The Armasight night vision goggles headset is fully adjustable and able to be positioned to your preference. We found these night vision goggles to be insanely efficient. They run just off one single 3v CR123 lithium battery. With a full charge you can expect these goggles to last up to around 58 hours (without IR illumination). A: Yes, if the rifle has rails. Q: Are they good for aiming down a scope? Q: Will this device also show the IR beam from a designator? A: Yes, any IR light will be visible. Testing this night vision device was an absolute blast. It has many features that we liked, but that fact that it is both water and fog resistant. This is insanely helpful. We also felt that for the price these night vision goggles felt extremely durable and solid. If you found this Armasight Vega Gen 1+ night vision goggles review helpful, please take a moment to share this post. To compare the Armasight Vega Gen 1+ night vision goggles check out the top 12 night vision goggles reviews.